White Oak | Buckhannon, WV | AFP Logs & Lumber, Inc.
White oak machines well, nails and screws well although pre-boring is advised. Since it reacts with iron, galvanized nails are recommended. It’s adhesive properties are variable, but it stains to a good finish. Can be stained with a wide range of furniture tones. The wood dries slowly. Furniture, flooring, architectural millwork, moldings, doors, kitchen cabinets, paneling, barrel staves (tight cooperage) and caskets. Generally available in thicknesses 4/4 through 8/4. 10/4 and thicker available in more limited quantities. 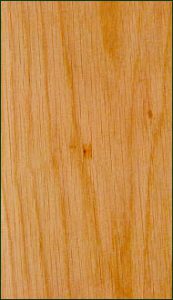 15.1% of total U.S. hardwoods commercially available.